The Friends of McLeod, Inc. Please click "Announcements" to see upcoming events. For information regarding visiting, wedding events, photographing, etc The McLeod Plantation, please visit The Charleston County Parks and Recreation Department Website as they are the owners of the plantation. DUE TO SEVERE STORM WARNINGS, OYSTER ROAST IS CANCELLED! We will announce new date as soon as we can. Refunds will be made upon request. Please see announcements page for more details! The Friends of McLeod have completed buying benches for McLeod Plantation! The Friends of McLeod has given the $18,000.00 it has raised for the purchase of the benches to Charleston County Parks and Recreation Commision. 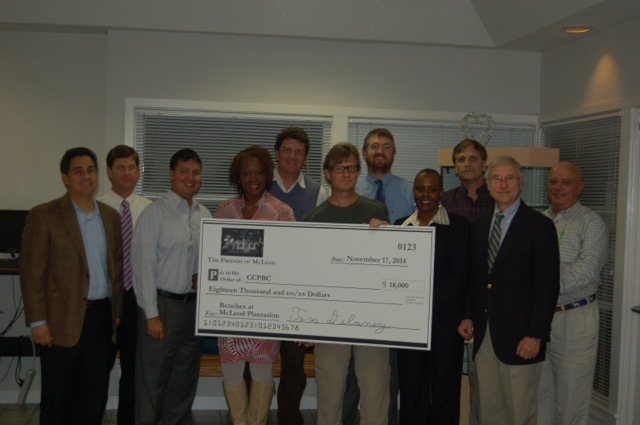 We look forward to working with CCPRC for any future projects as well! 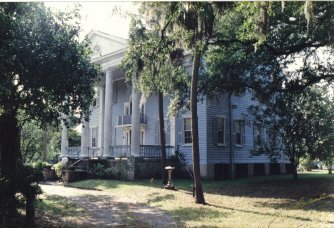 On February 28, 2011, Charleston County Park & Recreation Commission purchased McLeod Plantation on James Island. Please click HERE go to their website for information regarding weddings, events, etc. 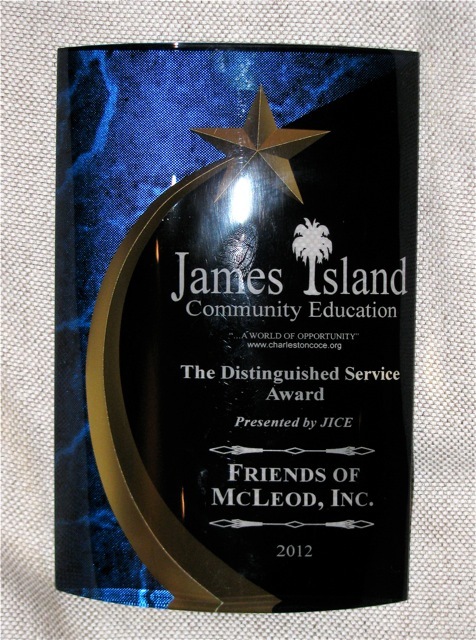 The Friends of McLeod were delighted to accept the Distinguished Service Award given to them by James Island Community Education on May 17, 2012. We're also proud to be named a National Finalist for an award given by the American Association of State and Local History nominated for our project, Saving McLeod. 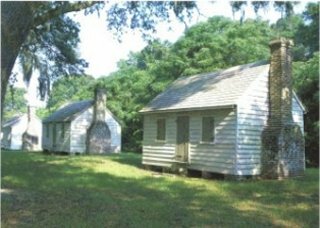 Must Read Articles Regarding The McLeod Plantation!